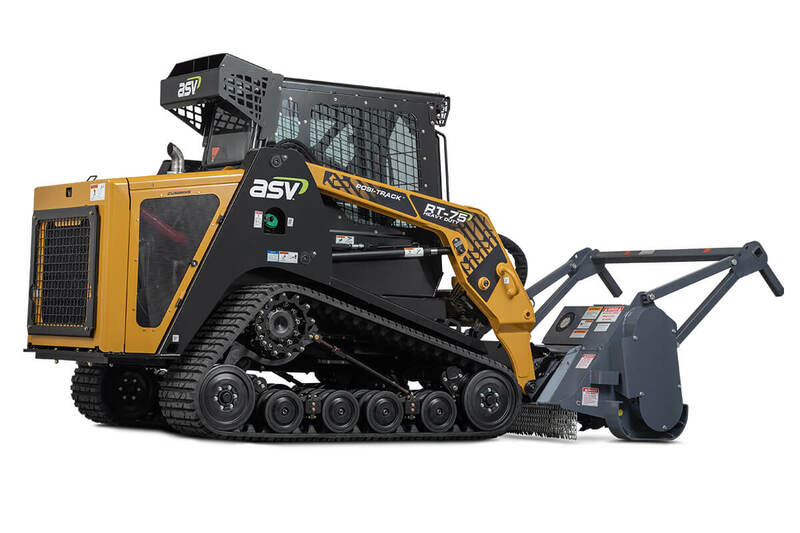 The RT-75 HD is built to get more done, especially in forestry and mulching applications, while requiring less maintenance. 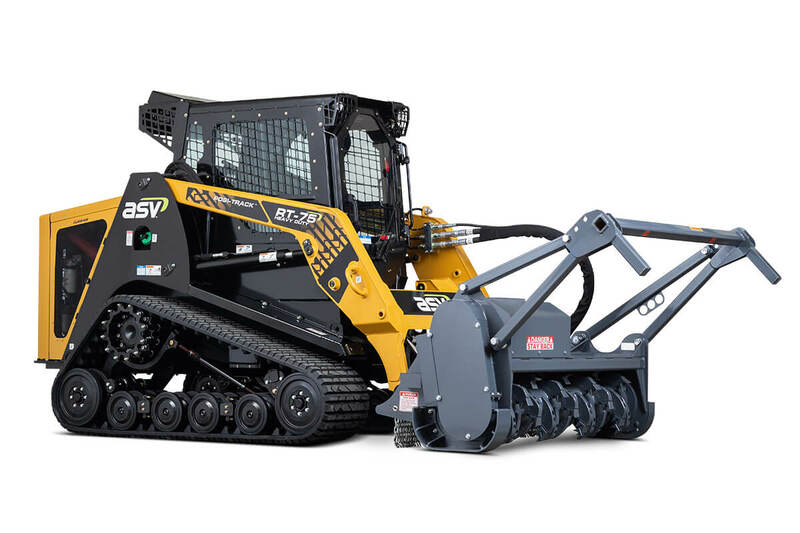 Like the RT-75, the HD provides the industry’s highest ground clearance, lowest ground pressure, longest track life and best traction over all types of surfaces while providing some heavy duty extras. 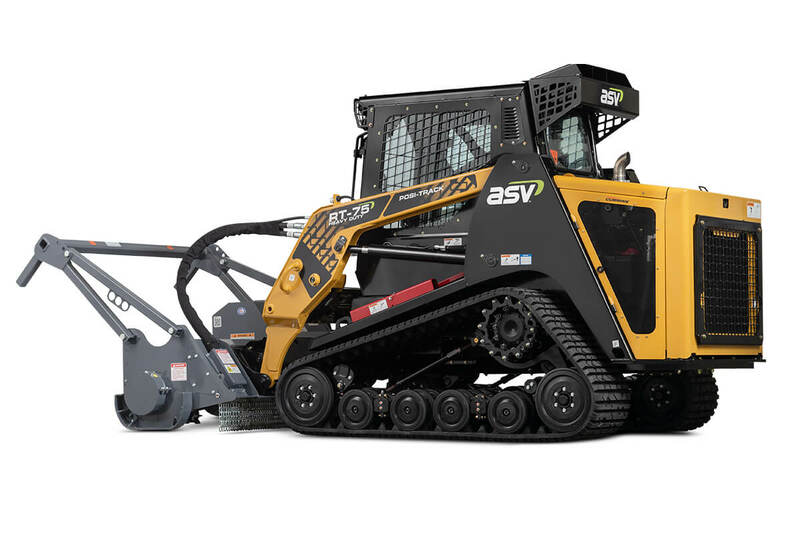 The HD model ensures our operators get maximum durability, serviceability and productivity in the toughest conditions. 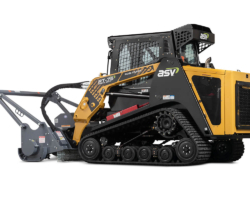 The RT-75 HD features a Cummins 2.8-liter turbocharged diesel engine. The 75-horsepower engine produces 221 foot-pounds of torque—13 percent more than the machine’s 80-horsepower predecessor. 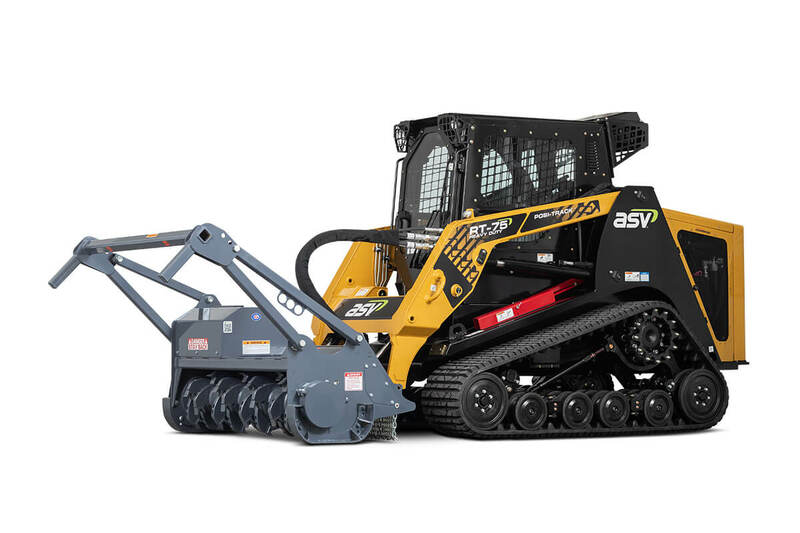 This HD model delivers maximum power, without compromise, during mulching and brush cutting jobs. The hydraulic system in the HD is highly efficient, including 35.7 gpm high flow and 3,300 psi. 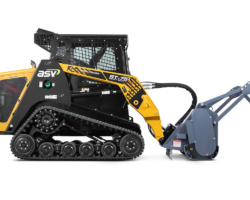 This model also comes with a hydraulically driven, auto-reversing cooling fan to blow debris out of the engine compartment screens. 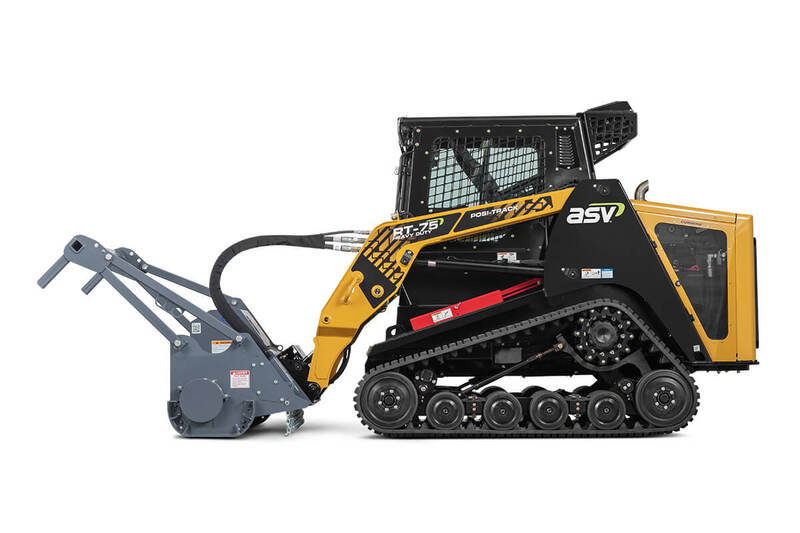 It offers hydraulic bucket positioning and a full rear brush guard is available as a factory installed option. 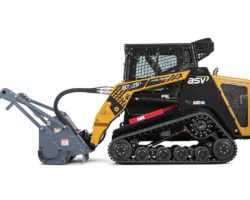 Standard joystick controls make operation easy and intuitive. 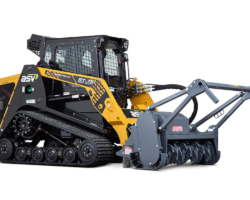 It comes with an all-weather cab that is pressurized for a clean environment plus the HD includes heat and air-conditioning, a Lexan door and AM/FM/MP3. 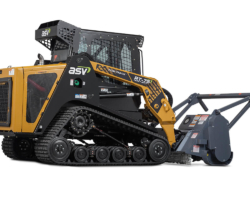 Like the RT-75, the HD model gives operators easy access to the reliable Cummins engine through a three-panel hood and tilting cooler arrangement. 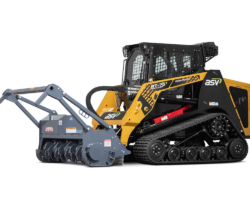 The design, paired with sight gauges for both hydraulic oil and coolant, simplify routine inspections of filters, oil and normal service items. 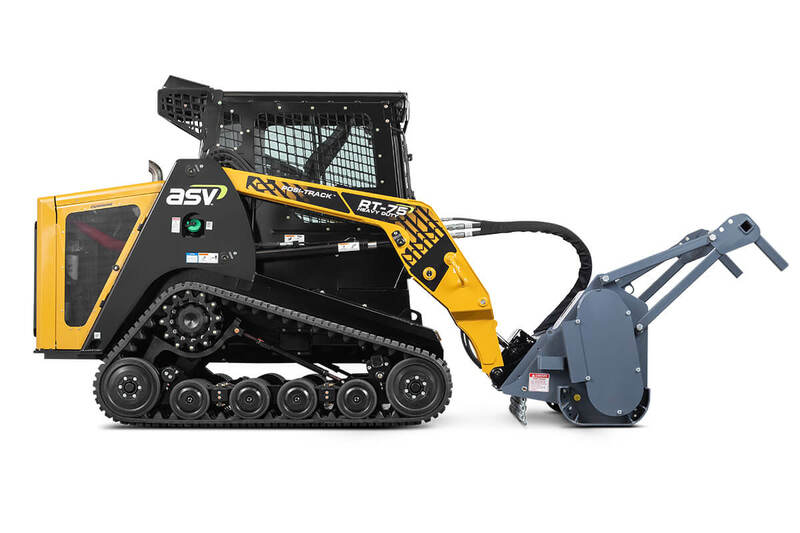 The RT-75 HD can be paired with all standard attachments, such as backhoes, buckets, snow blades, brush cutters and pallet forks.